LAKELAND, NY – The Dirt Modified Nostalgia Tour is proud to announce the addition of Jim Olin to the team for the upcoming season. The creator of the “Inside The Hall” Webcast at the DIRT Motorsports Hall Of Fame where he is also a volunteer, Jim has been involved with motorsports since 2012. First cutting his teeth as an announcer at Starlite Speedway, Paradise Speedway and the Can Am Speedway. Jim added Race Director to his resume in 2017 at the Evans Mills Speedway where he held that position until being offered the starter’s stand mid way through the year where he remained throughout the 2018 season as well. 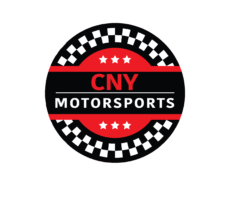 Jim has worked with the Syracuse Microd Club and the Syracuse Quarter Midget Club and in addition to his involvement with the DMNT he will also be the chief starter for the USAC Quarter Midgets this season. And lastly he is also the promoter of the Finger Lakes Speedworld show held the past few years in Auburn, NY. “After a couple of years of just having a toe in the water’s of the DMNT, it will be great to jump in with both feet for the 2019 season” Olin remarked. Jim announced for the series last year when it made it’s first appearance at the Utica Rome Speedway. The addition of a Starter to work closely with Race Director Mike Verbeek will give the DMNT total control of the on track action as well as continue elevate the professionalism of the series.